Keeping a yard well-manicured by trimming grass and raking leaves obviously looks a lot better than letting everything build up. While this does make the space more attractive and inviting, there’s one downside to keeping a tidy lawn: fewer soil nutrients for your trees and garden plants. The forest biome has healthy, rich soil because fallen leaves, pine needles, and organic matter create a protective layer that blocks the sun from evaporating moisture. As the matter breaks down, it delivers a steady stream of nutrients into the soil, keeping the forest plants healthy and well-fed. Luckily, there’s a way to keep your garden looking beautiful while also getting all the benefits of that protective organic layer: mulch! Mulch offers lots of benefits for your garden, from style to function. Aesthetic: Mulch cleans up the look of your garden, upgrading bare soil to something more uniform and stylish to look at. It’s incredible how much more polished your landscape looks with a layer of mulch tying everything together where bare soil used to be. As a boost to the health of your plants, you’ll be delighted to see healthier and more vibrant plants, too. Function: Mulch works wonders to help in your garden from insulating the roots of your plants to shield from heat loss to suppressing the growth of weeds. You’ll work less in your garden and have more time to sit back and enjoy it, and the healthier, weed-free lifestyle it offers will boost the look of your landscape. 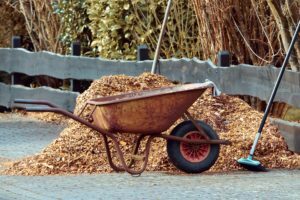 There are many different options for garden mulch, and they all come with a wide range of benefits, so when it comes to choosing one, lots of gardeners decide based on appearance and style. 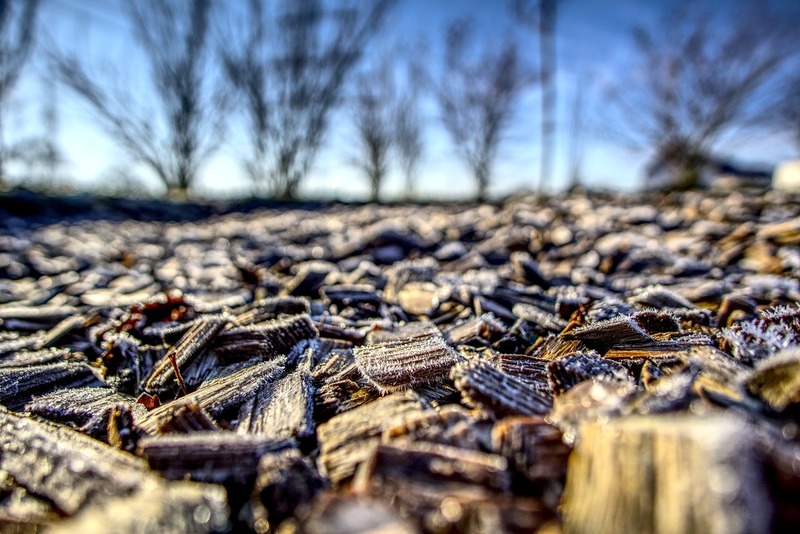 Depending on what look you’re going for in your yard, the right mulch can really add an impact. 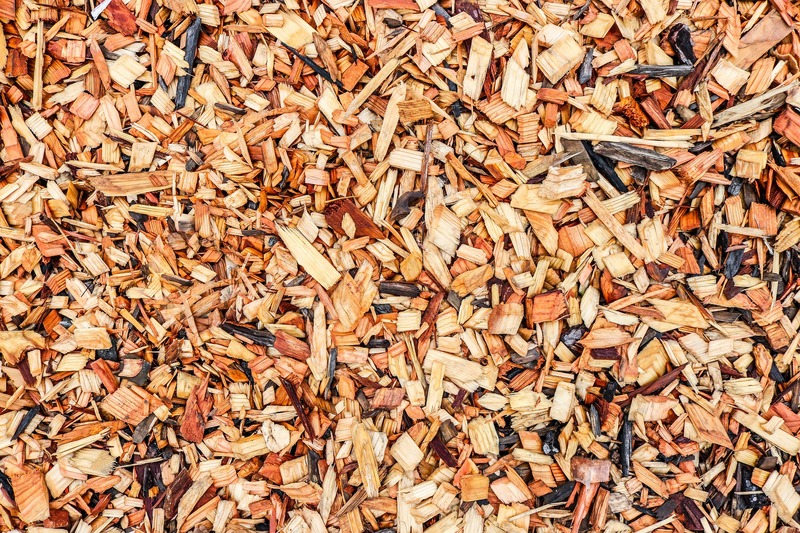 Wood Chip Mulch: This is a popular staple for mulching that provides all of the insulation of your best mulches and a bio-lift for your garden. Lightweight and natural, it steps up the appearance of your garden when boosting the health of your plant. One of the main benefits of this mulch is that it will actually break down over time to boost the health of your soil, but it means that you will need to replenish it every few years to keep your garden gorgeous and nourished. We recommend this type of mulch for almost any type of yard as a fantastic staple and starting point. Pine Bark Mulch: This popular choice for yards and trees is available in two different formats: shredded or nugget form. It’s nice and light, so it’s easy to work with, and the natural wood tones are gorgeous in the garden. Apply an even layer across the soil, all around your plants, up to the edge of your garden. Just be careful of overwatering after applying bark mulch because it’s so light it could float away, and you’ll end up needing to rake it back into the bed. We don’t offer this option in-store, but are happy to order it in for those customers that are interested. Pine Needle Mulch: This option not only smells amazing, but it’s one of the most effective materials for conserving moisture and delivering nutrients over the long term. Pine needles break down slower than other organic materials, and it helps acidify your soil if it’s too alkaline (a pH level higher than 7). We don’t offer this option in-store, but are happy to order it in for those customers that are interested. Grass Clippings and Leaves: Collecting yard debris and applying it around the plants in your garden is easily the most budget-friendly option, and it takes advantage of renewable resources. The downside is that grass clippings and leaves don’t look as refined as some of the more decorative mulch materials. Trees are used to their leaves falling below them and protecting the soil around their roots, so when we remove those leaves, the soil quality just isn’t as good as it could be. Add a layer of mulch around your trees, about four feet from the base all the way around, and you’ll improve soil conditions considerably. When applying the mulch, make sure you don’t pile up a bunch at the base. Keep it as even as possible, because a mound of wood chips or leaves at the base of a tree is a perfect home for rodents who might want to make a lunch out of your tree’s bark. Avoid mulch “volcanoes”! The tree could also begin to rot from the collection of too much moisture, which can harm tree roots. Keep mulch evenly spread, and you’ll have nothing to worry about. Adding mulch to your garden will produce noticeable results, not just in the health and quality of your garden, but in the money you save from reducing how often you need to water your plants. Mulch also helps smoother weed seeds, saving you time in weeding your garden. It isn’t very difficult to apply, so the long-term benefits mulching delivers are well worth the effort. Visit us in-store and browse through the many different colors and materials we have available!